Tips on Thursdays is a weekly meme where bloggers can share tips and tricks on blogging. Today's tip is on labels. Do you label your posts? If so, how do you decide on the labels? As you can see I do label my post, but I am not sure how effective my labels are; I'm always trying to improve them. I have mentioned that I have my blog set up to automatically send a tweet to my twitter account whenever I post a new blog. I also have it set to make my labels hashtags. Since changing to this setting I have become more selective maybe on which labels I use. I have a couple other reasons for using labels. Though I review most genres of fiction, my preferences lean to particular genres. I always list a genre (or two) that a book fits into and this way when authors/publishers look at my blog label list they can quickly see which genres I read mostly in. I have my label list set to cloud so that the most popular labels are at the top and larger. A second reason I use labels is because I do not title my posts with the book title/author. I always include the author's name in my label. I debate if I should list just the last name or the full name (I'm playing with both right now). I think this helps my readers find post about authors they, too, are interested in. Just as you should list your blog archive, your label list should be visible for your viewers. Like I mentioned in last week's post on review policies, label lists can help authors/publishers in determining if your blog is a good fit for their book. At the same time, it can help new readers to your blog discover some of your older posts. 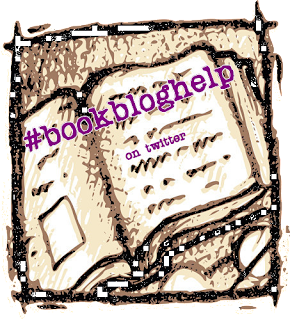 Do you have a tip or trick that would help other book bloggers? Either leave it in the comment section or better, yet, blog about it and then link your post below. I've only recently started using labels too, I didn't think about including a label list, actually. As I review mostly the same genre it might not be ideal for now but once I've developed more labels it will be something I'll look into. thanks, another great tip from you!